Stories have the power to connect people by sharing experiences and knowledge, yet many students feel insecure or lack confidence in their ability to write engagingly. Consider the different ideas in this post: how might you create interesting spaces and opportunities to encourage students to share their stories? 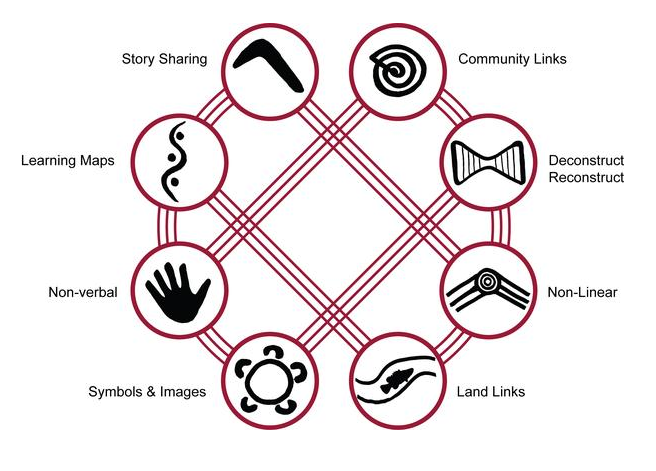 In 2008, I attended Dr Karen Walker’s ALEA Conference presentation titled Aboriginal Worldviews and Realities through Stories of Places, Spaces and Identities: when you let stories grow you up, they make us rich. Through a series of different activities, I came to appreciate how different ways of sharing stories could build confidence in the classroom. One activity, in particular, made an immediate impact: sitting in groups, workshop participants drew a turtle. But we didn’t know that at the beginning – each person was responsible for drawing a different section, such as the head, shell, a leg … It became obvious that everyone wanted to do their best for the group, with many apologies of ‘I can’t draw’ yet each group completed the task. Over time, I have adapted this idea for students in collaborating with story writing. Your students should be practised at working in groups and be willing to take risks – aim to complete shared activities and collaborative tasks to build cohesion and trust. When students are required to write a narrative for an assessment or exam, it makes sense to prepare by writing with peer editing or critiquing exercises. Try this ‘story circle’ with any class, although it is aimed at senior students with the suggestion of including ten different language features or techniques. The air was packed with smells. Cement. Exhaust. Whiffs of flowers, spices, garbage, cooking grease. I listened to the familiar city-night jazz. Car horns. Traffic humming on an overpass. The sound of a piano slipping from an open door. It was the melody of a thousand urban centers. Kathy Reichs, Cross Bones,2005, William Heinemann, p. 151. It was late afternoon. When the wattle tree shadows began to stretch, when the day’s heat began to dissipate, when the sky turned into an exhausted blue. Allow students time to read each draft and a moment to think before making their contribution, but too much time can bring insecurity. Make this fun, rather than ultra competitive and emphasise that students may use some or all of the ideas in their story. It could be a good time to discuss the notion of originality or individual ownership when we actually learn in community and reflect on each other’s ideas. Here is another great writing idea from Bianca Hewes about writing for the AOS Belonging from her blog titled Toilets and Tanks: My successful ‘hook lessons’ http://biancahewes.wordpress.com/ Who wouldn’t benefit from taking a class outside and thinking differently to harness their creativity?